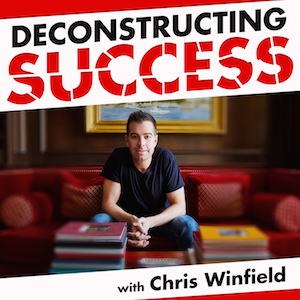 …my brand new podcast, Deconstructing Success, is officially live! 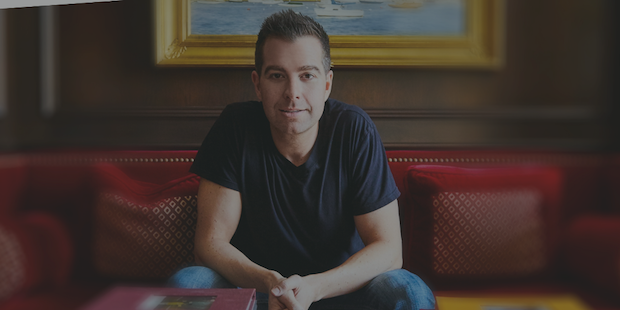 And that’s exactly what I will be doing each week with this show as I “connect the dots” in the journeys of top entrepreneurs, writers, artists and business people from around the world. Discover the real stories of how they “made it” and how they actually work each day, earn money, stay motivated and get the most out of each day. …as well as what they still struggle with, the obstacles they have had to overcome and so much more. Each episode will give you actionable advice, key takeaways and simple actions you can use TODAY to help you in your own work and life! 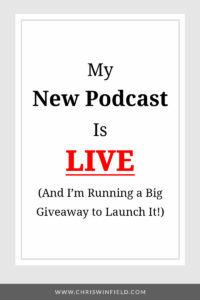 THE BIG PODCAST LAUNCH GIVEAWAY! 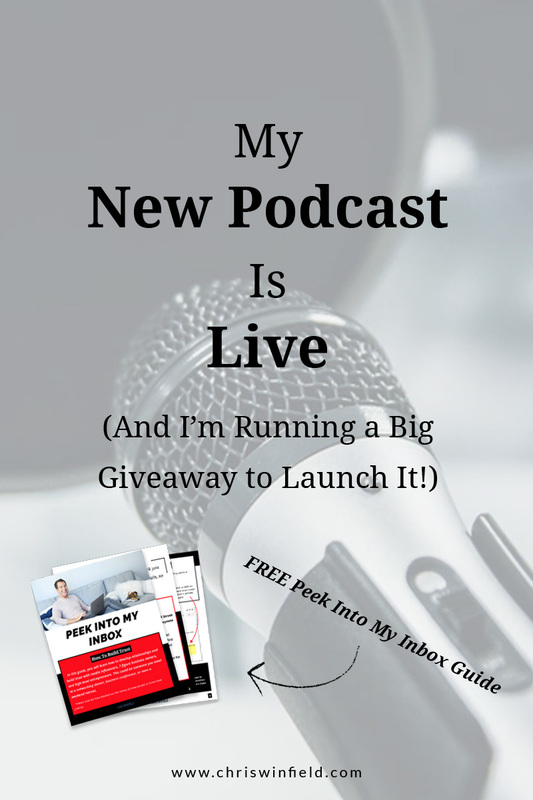 I’m pumped about this new podcast so I want to start it off in a big way with this big giveaway with over $1,200 in prizes! PLUS a special bonus prize for every single person who enters. 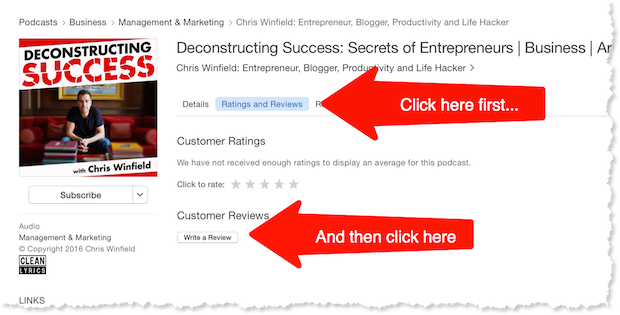 1) Click this link to go to the iTunes podcast page for my show. 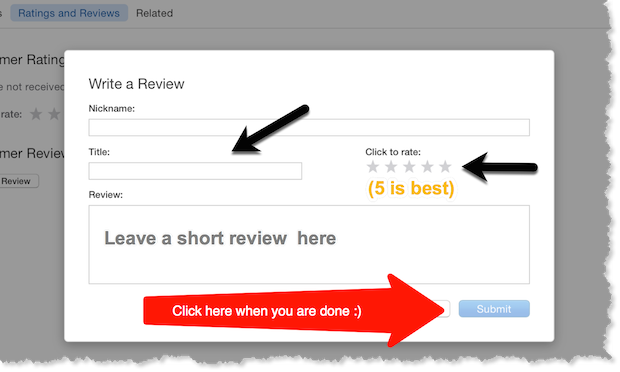 5) Click on ‘Ratings and Reviews‘ and then click the ‘Write a Review‘ button below it. You just need to give it a (a) simple title (b) leave a short text review (c) give it a rating from 1 to 5 (with 5 stars being the best). And then click (d) ‘Submit‘!